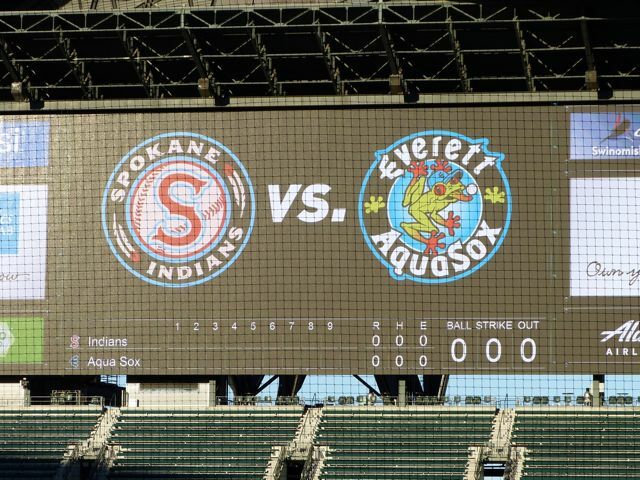 After the Short Season A level Spokane Indians and the Everett Aquasox, Seattle affiliate, were rained out of Wednesday night's scheduled first game of Northwest League's Northern Division series, the teams ran into a little bit of a problem. 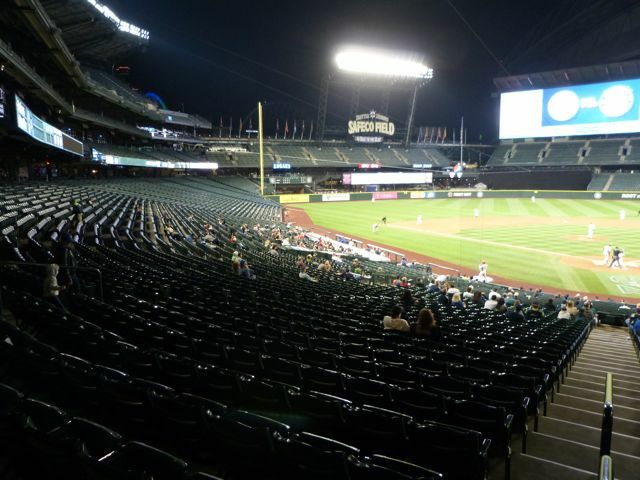 Both Spokane's Avista Field and Everett Memorial Field had previously scheduled events that would have prevented the teams from continuing their series at either traditional site. 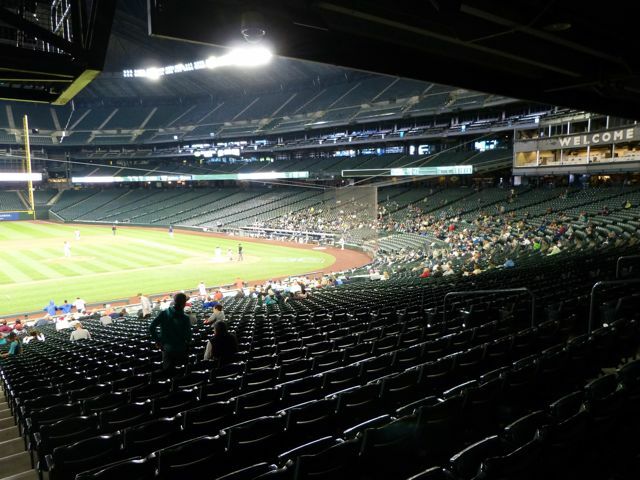 Mariners farm director Andy McKay was already on site in Everett for a scheduled announcement of Seattle re-upping its Player Development Contract with Everett for four more years, so working with executives from Everett and Spokane they decided to play at Safeco, major league Seattle Mariners field. I arrived at 5:50pm, walked up and purchased general admission ticket for $12, normal cost for the seat I sat in Section 131 is $75. 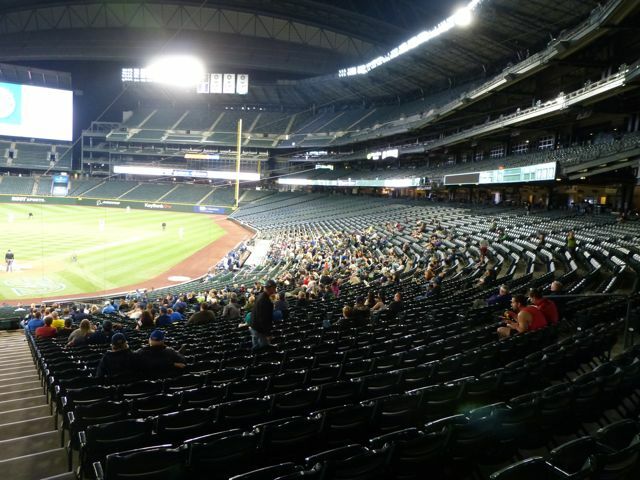 There were about 100 people waiting for the 6:05 gate opening. 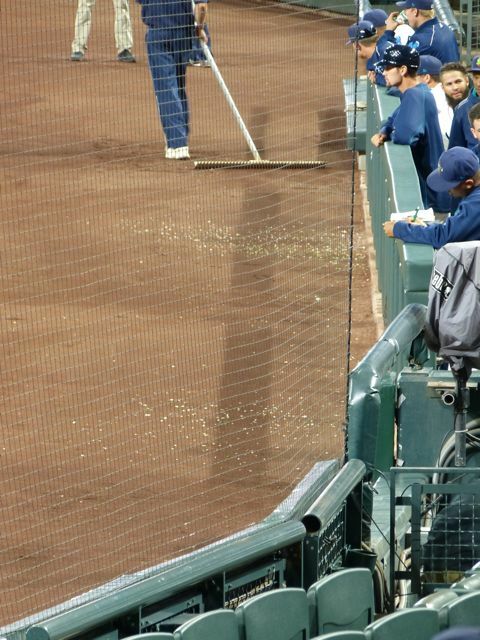 Seating at Safeco was within the ends of both dugouts on the field level. 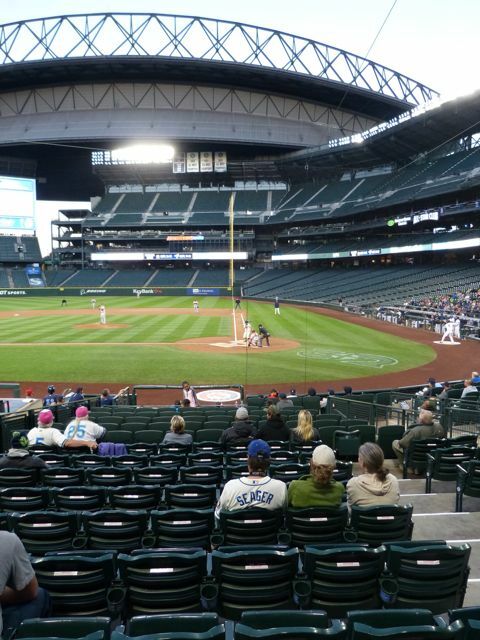 I would estimate less than 500 fans for the total attendance. The game started late at 7:21 and lasted for 2 hours and 28 minutes. 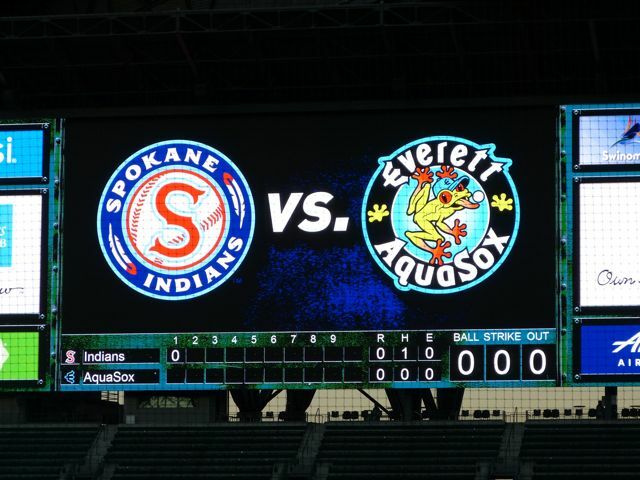 The Aquasox shutout the Indians 8-0, winning the second game in the best 2 of 3 series. 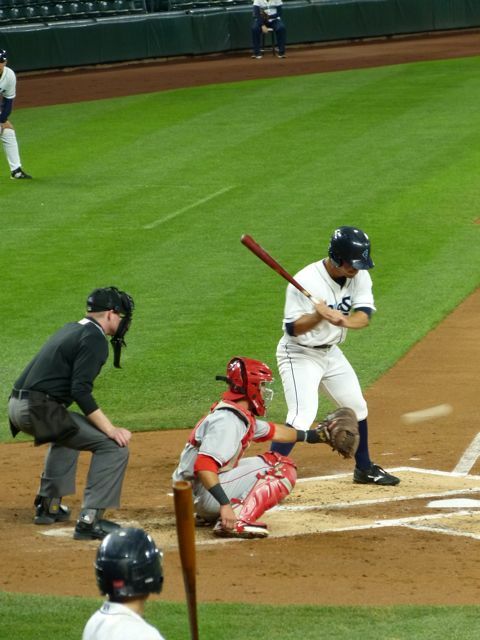 The box score was Spokane R-0, H-6, E-3 and Everett R-8, H-8, E-0. 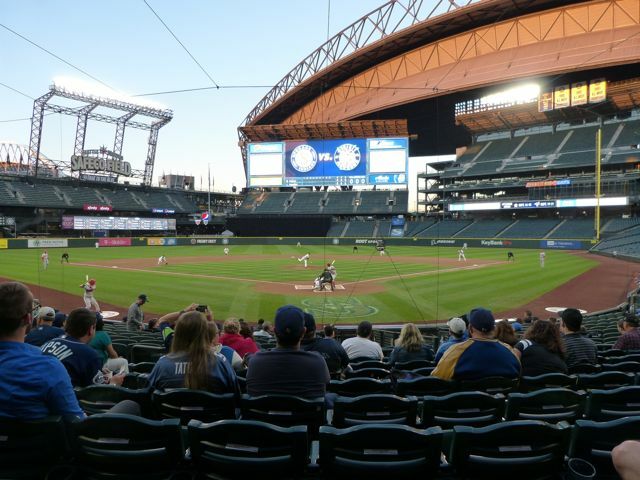 The field lines at Safeco are RF-326', RC-380', CF-401', LC-376', LF-376'. 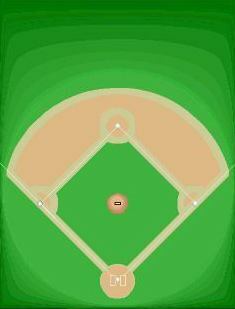 These lines are longer than the typical Short-A season fields. 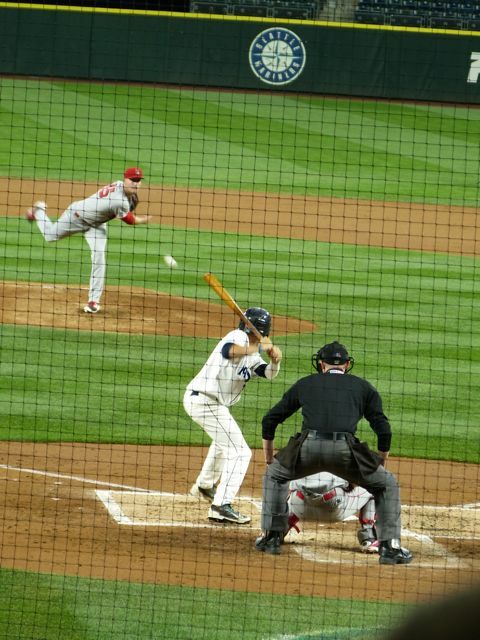 We didn't see any homeruns, but 4 hits would have probably cleared in a smaller field. 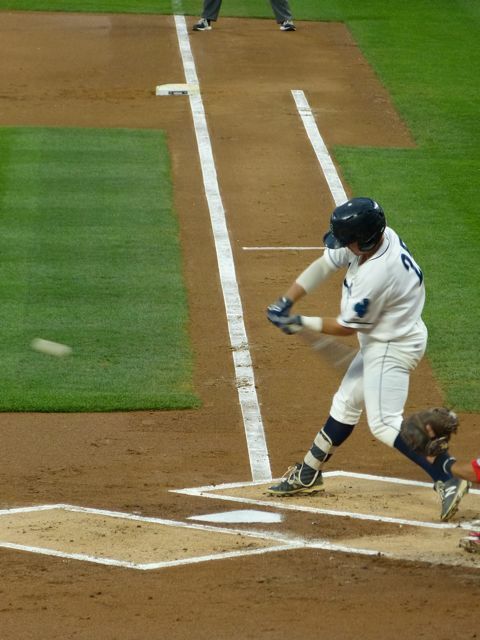 In the bottom of the 3rd Everett scored with a walked in run. 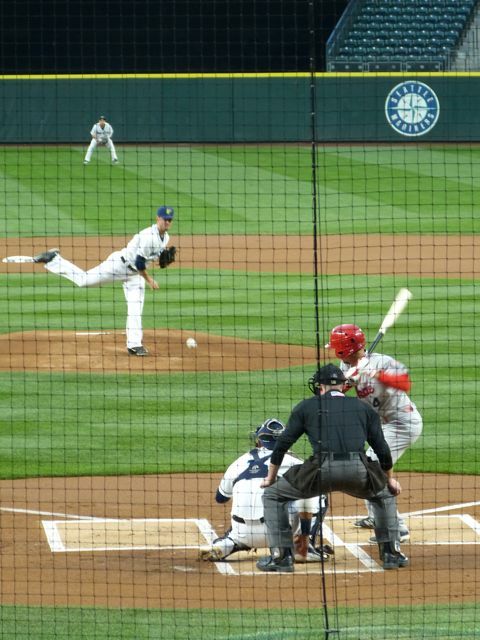 In the top of the 5th the Everett SS, Donnie Walton, made a outstanding jumping throw from deep towards 3rd for an out. 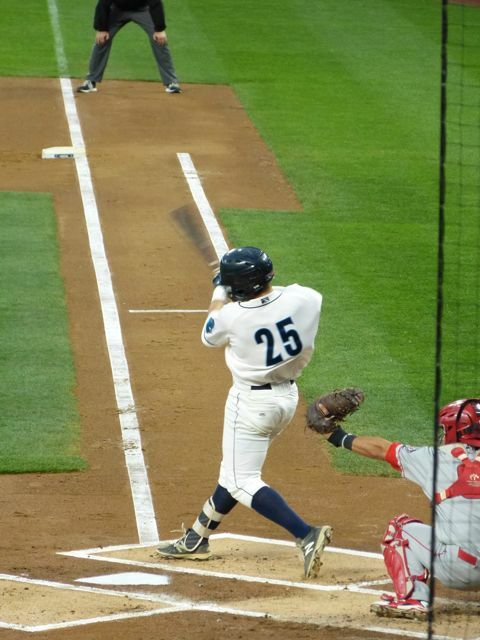 In the bottom of the 5th Spokane made two pitching changes. 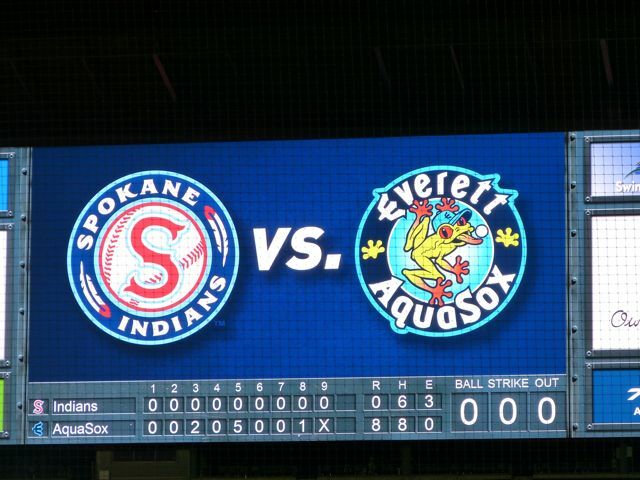 The Aquasox starting pitcher pitched seven strong innings. 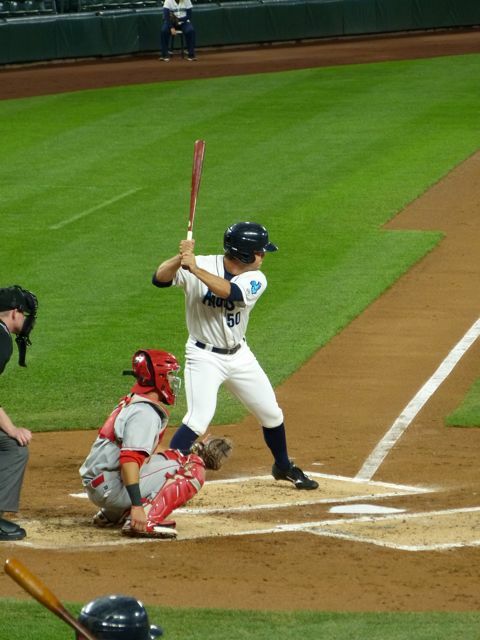 Eric Filia, Aquasox RF, has a real interesting approach at the plate. 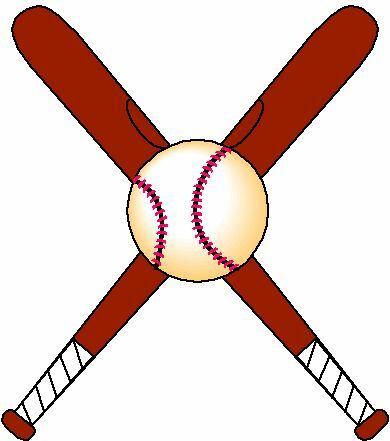 He holds bat vertical in front with right hand and his left hand it on his left leg. Next he taps left hand twice on left leg. 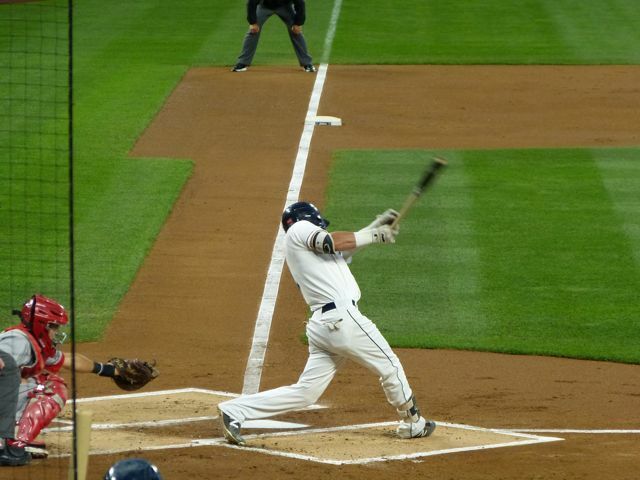 Then he takes a hold of bat with both hands, takes a big breath and steps into batting position. Lots of sunflower seeds already eaten in the early innings. 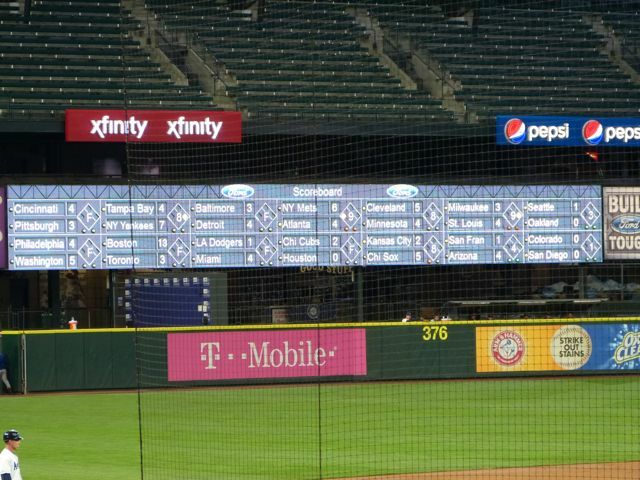 The Mariners kept up the out of town scoreboard in left field, so we could keep up-to-date on major league scores. 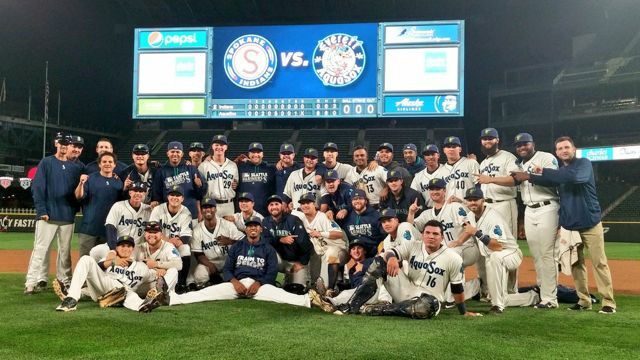 Team Photo courtesy of Everett Aquasox. 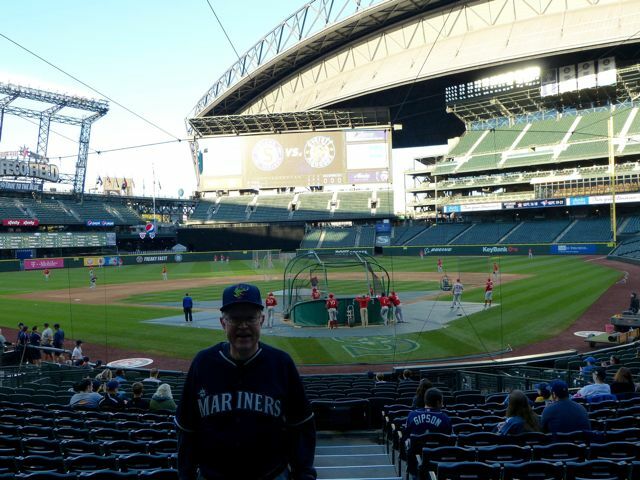 As a Mariners season ticket holder I would like to thank the Mariners for giving these young players the opportunity to play at a major league field. To my knowledge this hasn't ever happened before for a minor league play-off game, so it was a special occasion for a fan.